The Sabina mountains add beauty and serenity to Casperia and offer great trekking and mountain walks. They are rarely visited by walkers and you need to be experienced with mountain trekking in order to fully appreciate their magnificence. 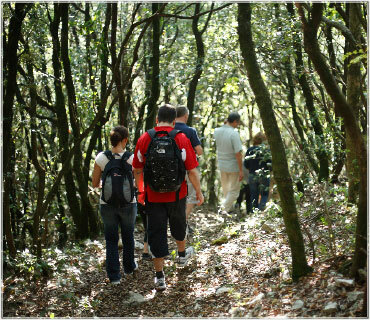 The highest peak is Montepiuzzuto 1,200 metres above sea level and covered with wild Mediterranean woodland. There are also gentler walks in the neighbouring countryside. Maps of the area and recommended walks can be provided upon request.